We’re pleased to provide you with this year’s annual report, a summary of programs, progress and possibilities in our work to end the cycle of child abuse. The information in this summary is just a snapshot of our work and the people we serve. 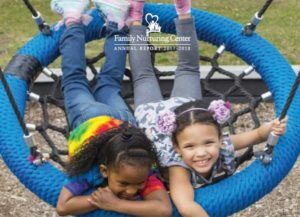 It provides an overview of our evidenced based services, showcases our impact on children and families, and highlights the many partners in our efforts to end the cycle of child abuse. We are privileged to help so many children and adults in their paths to healing, and honored that you are supporting us in the journey to a world where children are safe and families are thriving. Together, we can end child abuse. Together, we can create hope and opportunity. Together, we can make the world a better place for children and families.